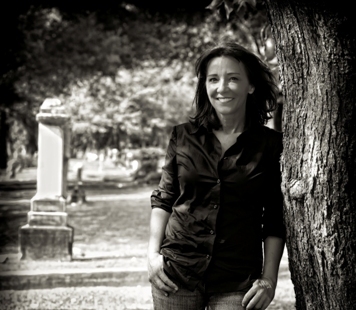 WHY DOES DEBORAH LEBLANC WRITE ABOUT GHOSTS IN SOUTHERN CEMETERIES? Deborah LeBlanc answers The Horror Zine: Why the paranormal? 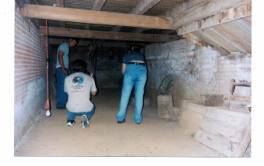 When I started delving into paranormal investigation years ago, my adventures were done alone and with little more than a disposable camera, compass, flashlight, and a set of brass balls. Over time, I collected more sophisticated tools of the trade, like an EMF detector, infrared cameras, etc. The set of brass balls remained a constant. 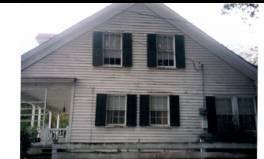 Eventually, I joined professional paranormal investigation teams, began traveling to purported haunted locations throughout the country, and even did some scouting for MTV's Fear program. 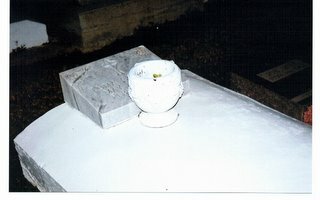 Over the years, I’ve visited hundreds of cemeteries, and my camera’s caught flying orbs near Poe’s grave in Baltimore, squiggly strings of white light that wove through tombs in old family plots in Nebraska, and child-size shadows perched atop two headstones in Atlanta, Georgia. Oddly enough, the cemetery known as the most haunted in America, Big Woods Cemetery, offered nothing but hungry mosquitoes. Before long I had three fourteen year-olds (two girls, one boy) begging--loudly--to ghost hunt. Although I envisioned angry parents pounding on my front door later that night, insisting I be taken away to a mental ward, I couldn’t resist those cherub faces. That, and the fact that they pooled their money and bribed me with a slice of chocolate cake did me in. 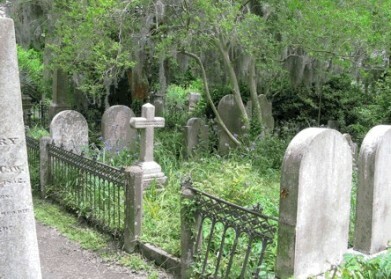 Wanting to minimize any risks, I thought of the most benign cemetery I knew—St.Theresa’s in Mire, La. The cemetery sits on a corner lot in the middle of town. Beside it is a church and across the street is a gas station and Mire City Hall. Streetlights line both sides of the street, so in truth, the spookiest thing about the place is the creak of the cemetery gate when you open it. 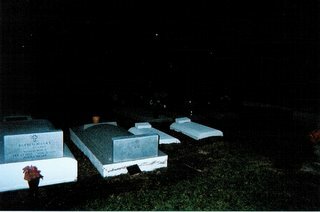 So, armed with a digital camera and a flashlight, both of which are always in my car, we head for the cemetery. Once there, the kids stay glued to my side, whispering to each other, looking over their shoulder every few minutes as we walked amongst the graves. A car backfired in the distance, and the boy gasped so loudly, I thought he’d swallowed his tongue. We had a good laugh over that, which helped the kids to relax and eventually wonder off on their own to different tombs. 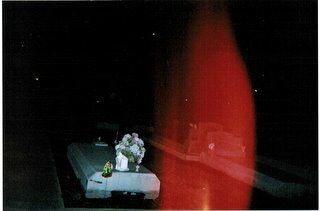 All the while I’m snapping pictures, hoping for an orb or two, but getting absolutely nothing--note the picture below. It wasn't long before I spotted my grandfather’s grave, (below). I was three when he passed away, so my daughters never knew him. As I drew closer to the tomb, I got a sudden, overwhelming urge to ‘introduce’ my grandfather to my youngest. So I called my daughter over, showed her the tomb, then said aloud, “Pop-pop, (which is what everyone called him) this is your great-granddaughter, Sarah.” No sooner did the words leave my mouth than another urge hit. Take a picture . . . now! So I did. And this is what showed up. This image (above), which stood at the foot of my grandfather’s tomb, wasn’t physically seen by any of us. Had it not been for the camera, we would have never known it was there. Is this my grandfather stopping by to say hello? I don’t know. But it sure is cool to consider the possibility! In my many travels, and with the aid of better equipment, I've managed to capture oddities, like the one, as well as strange, disjointed voices on digital recorders. But after fifteen years of investigating, I still can't lay claim to having seen a full-bodied apparition. Maybe I'm too much of a Doubting Thomas for spirits to bother materializing when I'm around. I did learn the hard way, though, that you don't have to see a ghost to make it angry…. Some time ago, I had the opportunity to visit the Nicholson House, which is located in Washington, Louisiana and was built in the mid-eighteen hundreds. The owner was expecting us, so it didn't surprise me when she answered after only one knock. Mildred, dressed in a cornflower blue housedress and white tennis shoes, greeted us with a warm smile and after a short round of introductions, welcomed us into her home. The pulling sensation vanished as soon as I crossed the threshold. The house appeared much smaller on the inside, with its low ceilings and clutter of memorabilia that dated back to the mid '40s, when Mildred had reigned as the first Miss Louisiana. As the elderly woman led us through the living room, all the while chattering about the "ghost friends" who lived with her, I noticed a portrait hanging on the wall beside a narrow staircase. 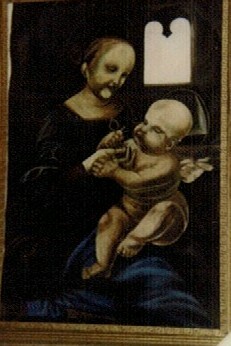 It appeared to be a macabre version of the Madonna and Child. When I asked Mildred about it, she explained that back in the '40s, a family member had set out to paint the portrait of a demon he saw regularly in his dreams. When he finished the portrait, however, it so terrified him, that he quickly painted over it with an image of the Madonna and Child. The holy image was his way of repenting for having painted the demon in the first place. The revised painting didn't stick, however. Over time, the faces began to change, as though the original painting wanted to regain possession of the canvas. After telling the story, Mildred urged us to follow her into the kitchen for refreshments. I asked if she'd mind if I went upstairs to check out the room right above us, which had served as a makeshift hospital during the Civil War. Mildred shook her head. "I wouldn't go up there right now if I were you. That's where they live, I think, and they're not exactly thrilled about all the extra company today. Give 'em a little time to get used to y’all hanging around." With that, she flashed me one of her brilliant smiles, then headed for the kitchen. We followed, each of us throwing furtive glances over a shoulder, itching to know what didn't want us upstairs. Curiosity finally got the best of me, and I began to lag behind. After all, Mildred didn't specifically tell me NOT to go upstairs. She'd just sort of suggested it. When the coast finally cleared, I crept over to that narrow staircase. The moment I touched the first step, the pulling sensation I'd experienced on the porch returned. With every hair on my arms standing on end, I took another step up, then another. By the time I reached the sixth step, the pulling sensation was so powerful, I had difficulty breathing. I stopped, sucked in a deep breath, then lifted my right foot to take the next step. No sooner did my sneaker hit the cypress plank than something unseen shoved hard against my left shoulder. I gasped and reached for the banister, but before I was able to grab hold of it, I was shoved again, harder this time, and I found myself stumbling down to the last step. Unfortunately, our equipment didn't capture any paranormal images that day. But I didn't need pictures to prove what I already knew. Something lived in the Nicholson's house, and it didn't appreciate nosey guests. Deborah LeBlanc is an award-winning, best-selling author and business owner from Lafayette, Louisiana. She is also a licensed death scene investigator and has been an active paranormal investigator for over fifteen years. 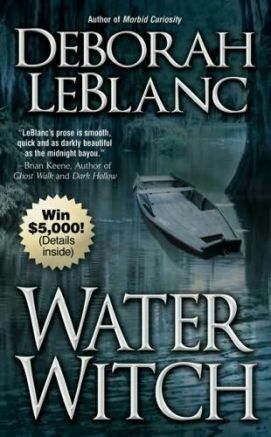 She is the president of the Horror Writers Association, president of the Writers' Guild of Acadiana, and president of Mystery Writers of America's Southwest Chapter. In 2004, Deborah created the LeBlanc Literacy Challenge, an annual national campaign designed to encourage more people to read. Two years later, she founded Literacy Inc. a non-profit organization dedicated to fighting illiteracy in America's teens. Deborah also takes her passion for literacy and a powerful ability to motivate to high schools around the country. See her latest book titled The Wolven HERE. See The Water Witch HERE. 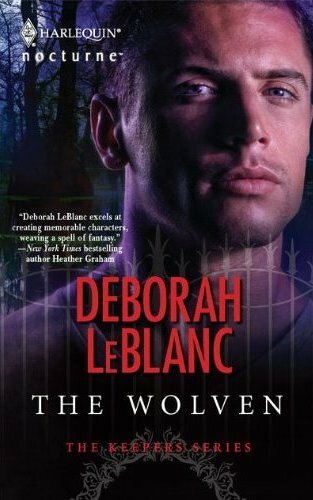 You can find all of Deborah LeBlanc's books HERE.